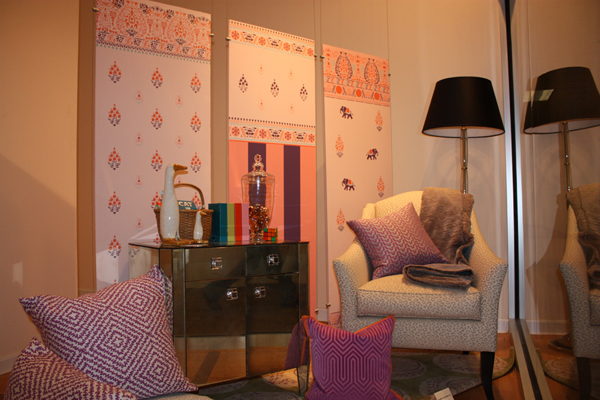 I was asked to do a window display at the Sherwin Williams Color Studio in the Boston Design Center a while back. 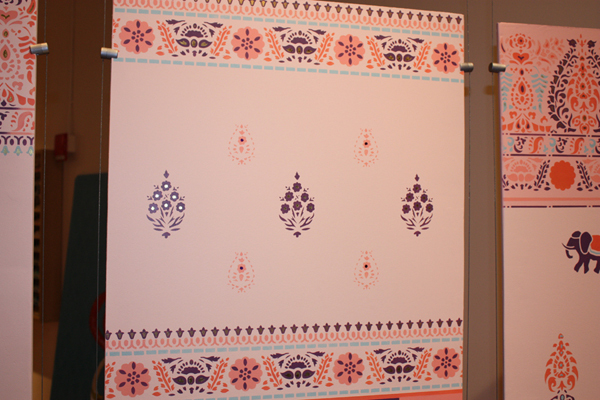 The panels were done with several different Indian paisley stencils from Henny Donovan in the United Kingdom. As soon as I saw the stencils, I knew they would be perfect. 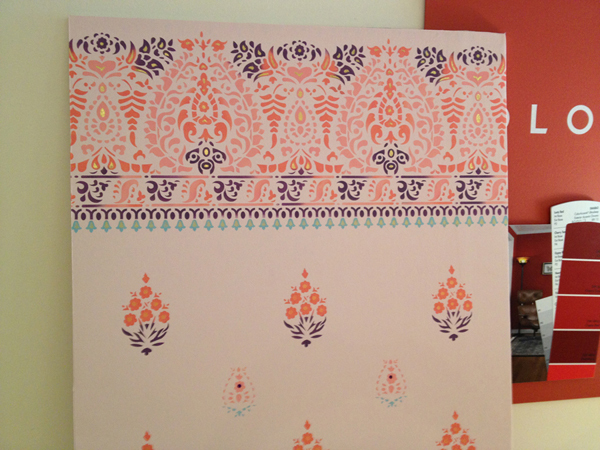 I used the Gujarat Indian Border and the Gujarat Indian Repeat Stencil. Also used is the Manipur Indian Border Stencil which is based on a 19th century embroidery motif from the region on Manipur. The delicate repeat pattern motif and intricate filigree design gives anexotic flair to the entire display. My color inspiration came from a photo of a gorgeous Indian fabric by John Robshaw that I saw in a picture of a children’s headboard. The beautiful, rich colors are reminiscent of those seen throughout Indian decor. 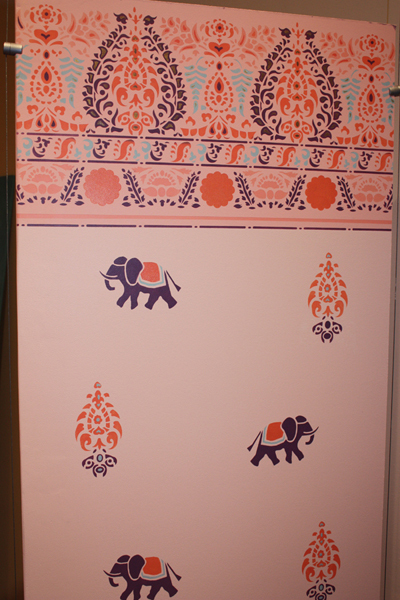 Vibrant, rich colors including several shades of coral, deep turquoise and purple along with metallic foils in gold and purple were used to stencil the panels. All of the paint colors are from Sherwin Williams including a metallic gold glaze. The panels were displayed in the studio for three months, and the vignette was put together by Heather Bourgeois, Manager of the Sherwin Williams Color Studio.